During my interview with John Waite last year he mentioned wanting his next album to be an acoustic one. 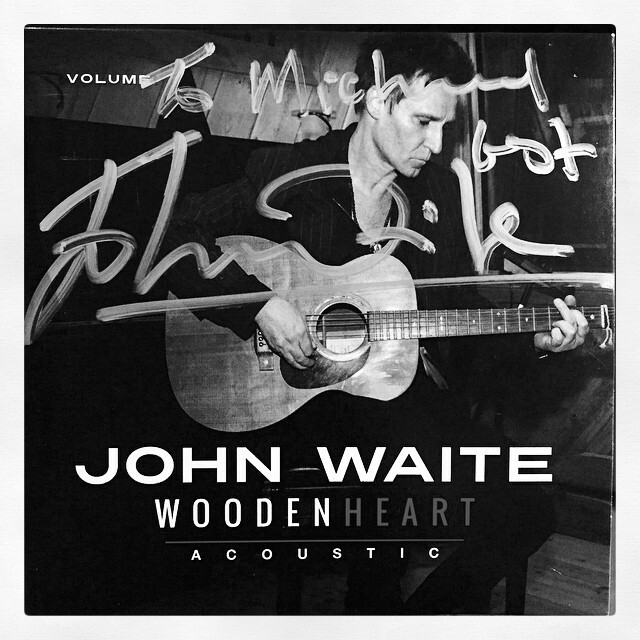 And less than a year later it’s here: Wooden Heart: Acoustic Volume 1. While it’s not a full-length album, the four songs on this EP, two of which were penned by Richard Thompson, are excellent. What makes these songs so enjoyable is the stripped-down arrangement, brilliant lyrics and heartfelt vocals. If I had to pick a favorite track, it would be “The One Who Got Away,” a Waite original that sounds both classic and modern. Autographed copies of this new release are available on John’s site and digital copies can be found on iTunes. If you love music as much as I do, make sure to pick up a copy of this brilliant EP.